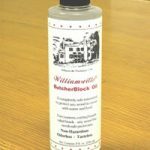 Food Safe Finishes Archives - Goosebay Sawmill and Lumber, Inc.
Williamsville® Butcherblock Oil is a completely safe ultra-pure mineral oil to protect butcherblock counters, cutting boards, salad bowls, or any wood in regular contact with food. It protects wood from water damage, is odorless, tasteless, and will not contaminate food. 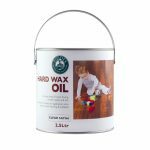 •	-Fiddes Hard Wax Oil is a blend of natural oils & waxes offering exceptional durability & resistance for internal natural wood flooring, kitchen worktops (wood) and areas subjected to a high degree of wear. 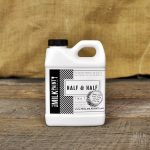 •	-Hard Wax Oil can be easily spot repaired by simply wiping or brushing a thin coat over a worn area, even after several years. •	-We do not recommend Hard Wax Oil for use on items such as salad bowls, cutting boards, or wooden food utensils.